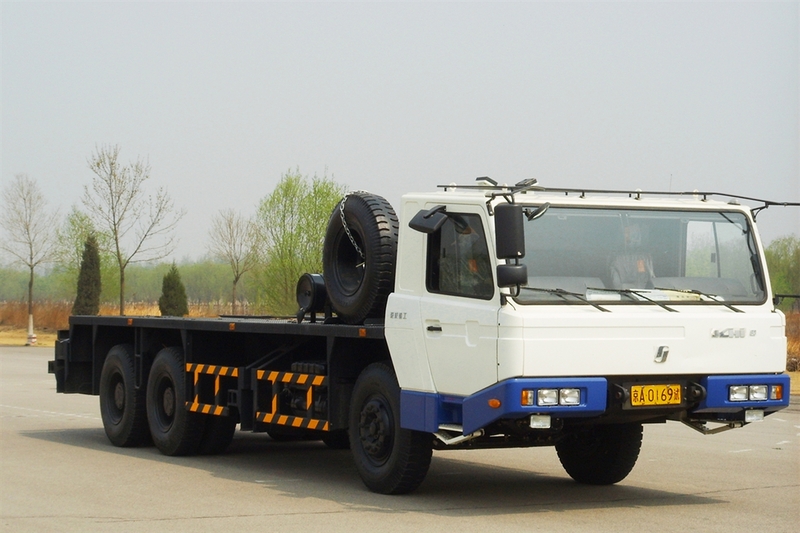 BCW5331JQZ truck crane chassis is developed and manufactured by Beijing Jingcheng Heavy Industry Co. Ltd. Equipped with Euro 3 engine, 8 shifts gearbox; double-lever mechanism; 9 shifts gearbox is also optional. Front suspension equipped with spring steel which are various sections, while rear suspension with spring steel and fabricated beam. Driver cabin is all steel, double-lever control mechanism and face gear flange, large approach angle, BCW5331JQZ represents the most advanced deveping and manufacturing ability of China and we provide crane chassis for Tadano Crane.